Truth by Kbaig: End of the Choto Gang! End of the Choto Gang! 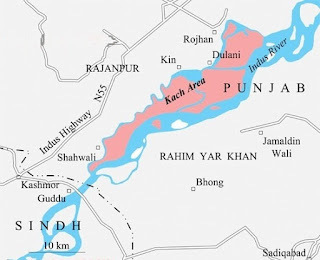 From February to April 2016, Katcha Jamal of South Punjab and Choto Gang occupying that area was the hot topic for the media. 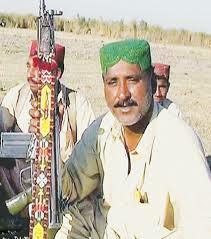 How Ghulam Rasool alias Choto became the symbol of terror? Why the feudal lords of the area and higher officers of Punjab Police were afraid of him? Was Choto gang really undefeatable or few feudal lords with the help of local Police officers fabricated stories of Choto Gang in order to make people afraid of them. Why did not Police take necessary actions against him while he was a low level criminal? Even when his gang became a symbol of terror in few undeveloped areas of South Punjab, why did not police took serious steps to crush his gang? In today’s developed era when Police and law enforcement agencies have latest weapons why did Police attack Choto gang without any strategy and unprofessionally which result in the deaths of 7 policemen including one SHO while 18 were taken as hostage. Due to the failure of Police govt. had to call army for action against a low profile dacoit. 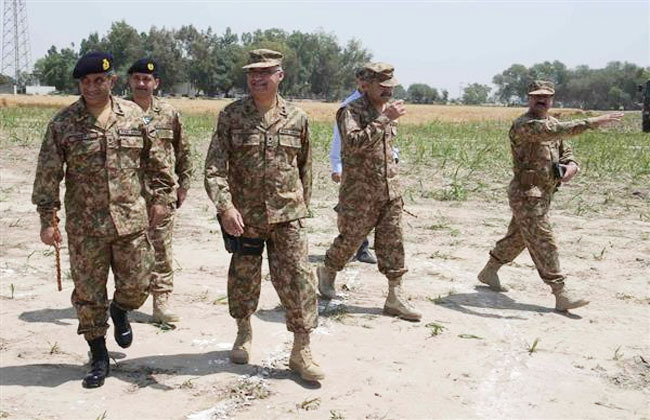 We all know that army is already engaged in different parts of the country in the operations against the terrorists. 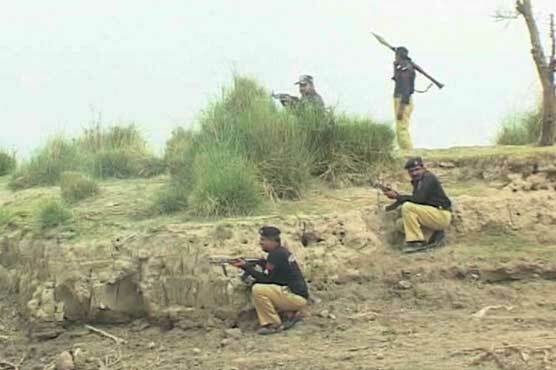 Due increased robberies over highways, kidnapping for ransom and lawlessness in South Punjab, Punjab police launched Operation Zarb-e-Ahan for which Inspector General (IG) Punjab Police decided to supervise the operation himself. 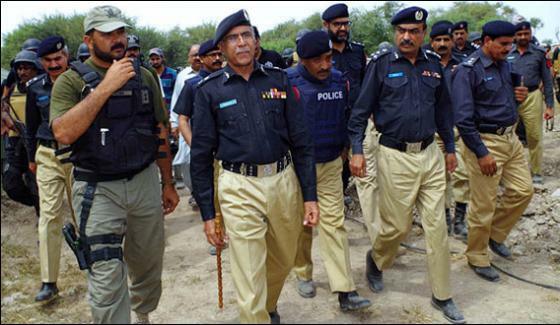 In order to take action against Choto gang, 1600 armed policemen were deployed in the area of Katcha Jamal. A special media cell was established in order to provide reports to the media. Sardar Asif Rasheed DSP Bangla Acha Police Station started the operation against the Dacoit gang led by Haneef Ghauri, SHO Bangla Acha. Perhaps police was expecting that Ghulam Rasool alias Choto will surrender along with his counterparts and beg to police. Even if police was not hoping this it was clear from the way Police started and end of the operation against the outlaws that Police had modern weapons but lack of courage, coordination and planning. Otherwise such scenes are only suited in the movies in which a Dacoit hero outweighs the police personnel. In the real life the fear of the unlimited powers and weapons of the police is enough to make anyone surrender. Many criminals fear police. 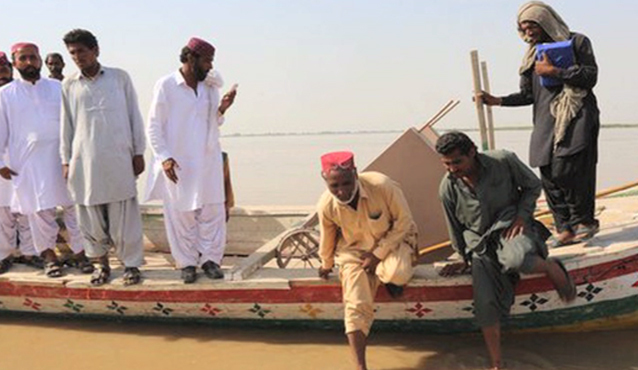 Choto Gang- Riverine area of Kacha Jamal. But in the area of Katcha Jamal, Police had to face failure. This was not the first time that police faced failure in the hands of the Choto Gang. In 2010 the Police operation continued for three months but resulted in failure, policemen were taken as hostages and police had to stop the operation for release of these policemen. In 2013, same exercise was repeated. In the light of these two failed attempts, Police should have effectively planned the operation against Choto Gang. Police should have secured intelligence about the weapons of the gang, supply routes of weapons to the gang, geography of the area and links of the area with Balochistan. If we look at the news reports published during the operation it becomes clear that DPO Rajanpur and other retired Police officers advised IG Police not to act haphazardly but the police officers in favor of the operation were in a hurry. One reason behind this haste was the big funds allotted for the operation. After failure of Police, deaths of policemen and more than a dozen policemen taken as hostages, Punjab govt. 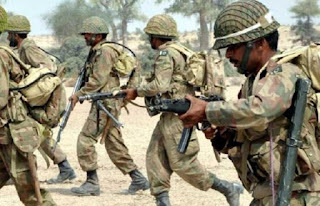 had to request to Pak army to take the situation in control due to which an issue of a criminal gang got international importance. Rumors were spread that Choto Gang has practically converted Katcha Jamal into a NO GO AREA where notorious terrorists are present, and they are in control of the area as well. Due to the wireless sets of the policemen taken as hostage the negotiations between police and chief of the gang were going on. Police provided the recordings of the conversations to such people who made technical changes and analysis of their own interest which made the situation more thrilling and various rumors were spread increasing the profile of Choto as a Dacoit. As soon as army took control of the area from Police and imposed curfew in the area, Choto chief of the gang issued the statement that he is ready to surrender in front of Pak army. When Choto gang surrendered after negotiations with army, Police once again got active but army did not hand over Ghulam Rasool Choto despite various attempts by IG Police. Ghulam Rasool and other criminal were shifted to secret place for investigation. Although, army did not disclose any information that was procured from Ghulam Rasool during investigation but thrilling disclosures were reported in the newspapers. According to Ghulam Rasool, the feudal lords and Chiefs of the area were his facilitators. Few Chiefs not only shared the ransom money but also informed him in advance of any Police activity. Others helped him procure latest weapons, as a reward he used to threaten their opponents. From theft to kidnapping and murders were on the beck and call of these feudal lords. Feudal lords provided him vehicles for transport. How much truthful these disclosers are this will be decided by the time. But this is true that without the support of the feudal lords having access to the corridors of power (national and provincial assemblies) no one can establish a single group of thieves leaving aside a criminal gang. These feudal lords having influence in power / govt. are the worst hurdles in the development of the South Punjab. If they are with govt. they do not allow establishment of Schools, Hospitals, and other infrastructure; when they are in opposition they start propaganda of LAHORE. For their political interests they start propaganda of Saraiki province consisting of the Saraiki but when they come in power, they do not do anything for development of the region. The politicians from South Punjab remained in powers on key appointments like Presidentship, Prime Minister, Chief Minister and Governor. They might have changed the fate of the area if they were willing to do so. But such like acts are never expected from these feudal lords because like the feudal lords of Sindh and Balochistan they think that if inhabitants of their estates are provided education, medical and livelihood facilities than they will not remain enslaved to them. No one would like to establish Choto gang for their interests and threaten their opponents. Will this continue like that? 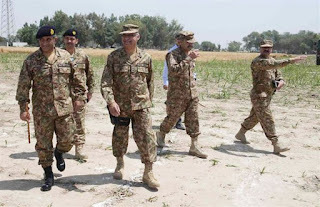 Choto Gang- Corps Commander Multan Ashfaq Nadeem visited troops in Kacha area of Rajanpur to see preparation for impending operation against criminals. Army has freed Katcha Jamal from Choto gang, different low profile criminals present in the area have fled from the area or are underground. Feudal lords, Sardars and other influential persons facilitating Choto gang are silent due to the fear that they may be included in the investigations as well. Army has handed over Choto to Police after completing investigations. He is to be produced before court on 4 August 2016. Now court will decide the fate of the Choto gang. But the fate of the Katcha Jamal is yet to be decided where criminals succeed in establishing their strongholds. 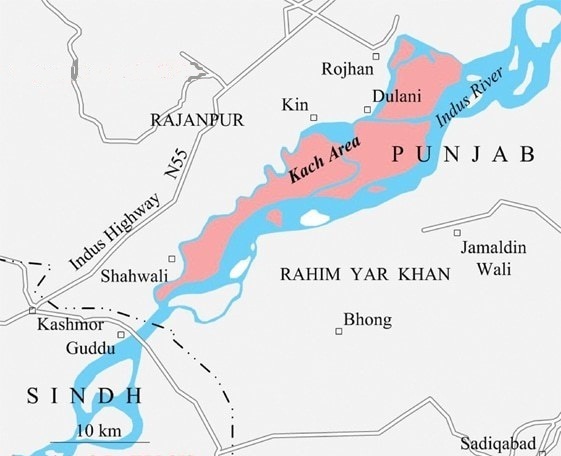 Need of the hour is that this area spread over the hundreds of acres should be developed, especially in the light of CPEC its importance is increased due to its presence in the neighborhood of trade route. One way of the development of the area might be to convert it into a resort / recreation site where tourists may visit. There are various areas present in the world that were deserted but developed into resorts by their governments. If govt. takes serious steps, investors would step up as well. With the increased economical activities the unemployment in the area would decrease in the adjacent districts as well. Date: 24 to 30 July 2016.